• Dependent access to wellness initiatives. • Health risk assessment and appraisal. • Obesity coaching or management. • Incentives provided for “at risk” to modify behavior. • Tracking absenteeism due to sickness. No. 1 - The Beck Group. No. 2 - Security Service Federal Credit Union. No. 3 - Wilson & Company Inc., Engineers & Architects. No. 4 - Restaurant Solutions Inc.
No. 2 - Oakwood Homes LLC. No. 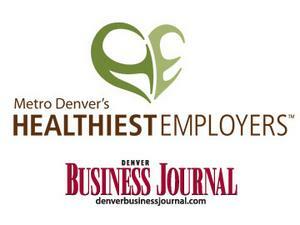 3 - The Colorado Health Foundation. No. 4 - Colorado Housing and Finance Authority. No. 5 - UMB Financial Corp.
No. 1 - DaVita Healthcare Partners. No. 2 - Pinnacol Assurance. No. 3 - CoBiz Financial. No. 4 - Bridgepoint Education Inc.